Home » Favicon Generator » How To Create & Upload Favicon To Blogger's Blog? Favicon is a little icon or logo of the website showing on the left cornet of browser’s page tabe. Normally logo of the website is selected as favicon. This little icon is in icon format. You can create your favicon through different websites. 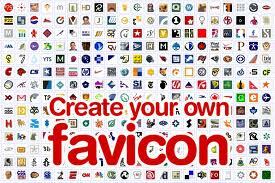 For example www.favicon.co.uk is a free favicon creator website. How To Create & Upload Favicon? So lets start step by step that how to create and upload favicon to the blogger’s blog? 1: First select your image which you want to use as favicon of your blog. The image should bhi in JPG or PNG formate. I preffer PNG format. Then go to favicon creator website and create favicon by uploading your selected image and save it to your computer. 2: Now login to your blogger account. 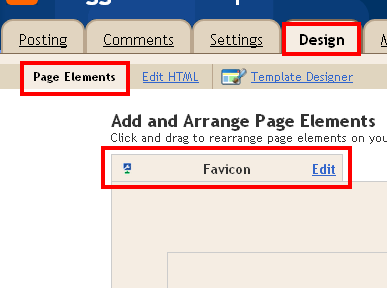 4: On top left corner in design tab you will find favicon option. Here click on Edit. 5: Choose your favicon from computer and upload it. 6: After uploading favicon click on Save button. And your favicon will be saved. Here I want to tell you that sometime favicon does not appears after saving. It takes time to appear to the favicon place. So don’t dis heart. It will automatically change in some time or in one or two days.